AbbVie is a global, research-based biopharmaceutical company, employing more than 700 people across Ireland. The company takes a proactive approach to corporate responsibility focused on three core commitments: improving health outcomes, operating responsibly and contributing to communities. In partnership with not-for-profit groups, AbbVie, with support from the AbbVie Foundation, works to address challenges facing the underserved – particularly in education – through charitable giving as well as employee engagement. Engagement with local communities is core to the company’s culture and AbbVie’s Irish employees volunteer hundreds of hours each year to assist with local community projects through the company’s global Week of Possibilities volunteer programme. In Ireland, AbbVie has joined forces with the national volunteer development organisation, Volunteer Ireland to roll-out this campaign initiative. Together, they planned and implemented Week of Possibilities projects in three communities in Cork, Sligo and Dublin – locations where the company has a major presence. 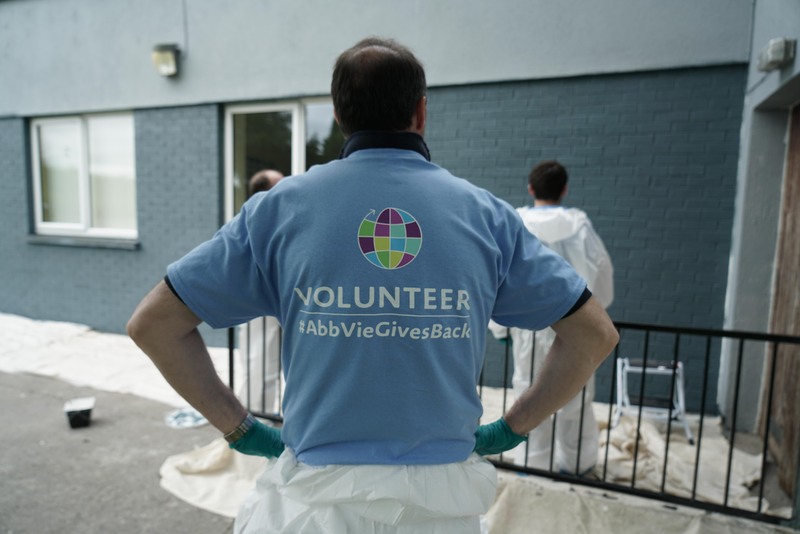 The partnership with Volunteer Ireland helps ensure AbbVie activities align with the needs of their local communities. Since commencing the partnership in 2016, almost 1,000 AbbVie employee volunteers have contributed close to 5,000 hours on six separate community projects. These activities include the complete refurbishment of school laboratories; the construction of a number of playgrounds; facility upgrades for children living with physical and intellectual disabilities, support for people experiencing homelessness; and other undertakings that contribute to the enhancement of education in Irish communities. Speaking about the impact the Week of Possibilities initiative, Ann-Marie Banks, Training Services Manager, Health Service Executive, Ballytivnan Training Centre, Sligo said she was very thankful that AbbVie and Volunteer Ireland had chosen to assist her facility during a recent Week of Possibilities.